Those who teach leadership revel in the AHA! Moments — moments of key insight and learning. A good leadership program begins with clear learning goals and ends with gathering evidence of learning. This can be achieved by using a simple framework: AHA! — ARTICULATE the learning goals, HOST the program, and ASSESS what learning occurred. This roundtable will explore questions like What do I really want my program participants to learn?, What learning experiences will best support the outcomes I hope to achieve?, and How will I know if my participants learned what my program intended to teach? 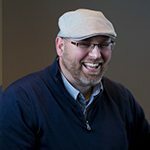 Jason Bosch is the founder and owner of the Elevate Agency, a training, organizational development, and coaching company providing customized leadership capacity-building services to individuals, teams, and organizations. Jason also has over a decade of experience in higher education. 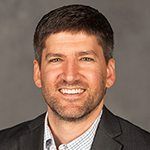 Through his higher education career and private business, he has served as an instructor in university leadership courses, has designed and delivered hundreds of leadership programs, and directed learning outcomes assessment initiatives for a university division of student affairs. During our roundtable, we will explore the ways in which consultants and educators are applying the adaptive framework to help groups make progress on organizational, community or global challenges. A number of experiments have recently emerged to help communities of practice address adaptive challenges within fellowship programs, peer cohorts or collaboratives. We will surface different manifestations of these “action-focused” programs and envision how such efforts could be iterated upon and expanded. Marc will share lessons learned from adaptive leadership fellowship programs at NYU and in Harlem, NYC. Fellow participants will also share their respective experiences, ideas and consider future experiments. Marc Manashil is a consultant and educator specializing in collaboration and adaptive leadership. His background is in international health and philanthropy, having served in director roles with a global grantmaking foundation and NGOs working in Latin America and West Africa. 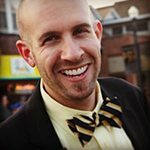 Marc studied adaptive leadership while pursuing an MPA at the Harvard Kennedy School from 2009-10 and served as a Teaching Assistant to Professor Dean Williams. He has since developed and facilitated adaptive leadership training programs for numerous nonprofit and philanthropic organizations. 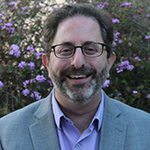 Marc is also a lecturer at NYU’s Silver School of Social Work where he teaches leadership to masters, doctoral and executive students. Marc also holds a BA in Political Science from UC Santa Barbara and a MSW from UC Berkeley. The presentation will consist of a panel discussion from the founders/co-chairs of the Know Your Worth Women’s Leadership Conference using the Energizing Others Principles to develop and execute the conference years 1 through 3. Christina M. Long is an entrepreneur and community-builder. The 37-yearold Wichita native is the Founder/Principal Consultant for CML Collective, LLC, her graphic design and communications services company that she launched in 2013. Prior to going full-time with her company, Long led a department with Wichita Public Schools and, previous to that, was a reporter with The Wichita Eagle. She serves on a number of boards. A few include: the Wichita Regional Chamber of Commerce and Wichita Urban Professionals. 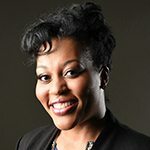 She also has earned many honors including being named the Wichita Regional Chamber of Commerce’s Exceptional Young Leader and Urban Woman Professional of the Year by Wichita Urban Professionals. Long is a graduate of Wichita State University. She is married to Jonathan Long and the couple has three brilliant children. Jill D. Miller is a world-champion plate spinner. 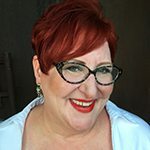 With her independent business development consulting company, Creative Solutions, Jill has helped fledgling entrepreneurs launch out-of-the-ordinary and sometimes quirky new ventures, helped seasoned business owners see new possibilities and has kept freelancers motivated since 1998. Jill started teaching entrepreneurship classes at Wichita State University in 2013, which she has found to be an exhilarating adventure of her plate-spinning prowess. Compelled to start the Finishing School for Modern Women in September 2015 to help women be more successful in business and life, Jill believes she’ll never be “finished.” She is excited to learn along the school’s students and speakers. Denise Sherman – MSOD, PHR, SHRM-CP serves as Director Organizational Partnerships and Center for Corporate Learning for Southwestern College. This is a culmination of her three interests, leadership, entrepreneurship, and lifelong learning. Prior to joining Southwestern College, Denise served in a higher education capacity focused on workforce talent development and training. Her previous entrepreneurial experience includes owning several companies. 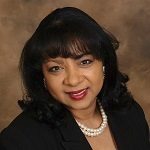 Denise is a promoter of higher education and as a result, Denise holds a Master’s in Business Administration and Masters in Organizational Development. In addition, Denise engages in the community by serving on many nonprofit boards, civic initiatives and special community projects, including Wichita Festivals Inc., Rotary Club of Wichita, Know Your Worth Women’s Leadership Conference, and programs with the Kansas Leadership Center. It is her belief that you should assist others in developing themselves in order to reach their highest potential! Emotional intelligence can have an impact on organizational health and success. Understanding your co-worker’s emotional intelligence as well as how to develop it can improve your team dynamics. At our roundtable, Kellen and I will provide an overview of what emotional intelligence is, how it is more than an extension of personality, and how it can be developed through intentional training. We will provide some hands-on application that participants can take back to the office and utilize immediately. Norm Duncan, Ph.D., is a leadership coach with Lead the Way Consulting. Norm has studied organizational, political, and global leadership. He has led both for-profit and non-profit organizations for over 20 years. Norm’s daily purpose is to compel others to engage in a shared vision to accomplish a common good. 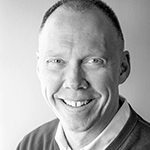 Norm is the lead pastor of True Life Church, a branch manager for Bank of the West, teaches leadership, theology, and treasury management at local colleges, and serves on the boards of local charities. He also co-facilitates for Leadership Butler. His education includes degrees in Communication, Theology, and Leadership. 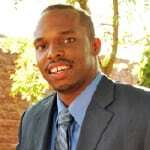 Kellen Adams, Ph.D.(c) – Kellen is a leadership coach with Lead the Way Consulting. Kellen has spent his entire career in the K-12 environment, as a teacher/coach, a K-12 Principal, and most recently as the Executive Director of Fiscal & Support Services in El Dorado, KS. 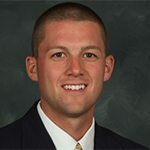 Kellen is an adjunct instructor at the graduate level, a collegiate sports official, and owner/operator of a Timing Company. He co-facilitates for Leadership Butler. Kellen’s passion for leadership and organizational development is primarily focused on change management and to help develop leaders to be effective change agents. He has degrees in Business Education, Educational Administration, and is currently working to complete his Doctorate of Education. The objective in this roundtable conversation is to take stock of the budding interdisciplinary literature about what a culture of trust is and share in a dialogue. Attendees will have the opportunity to examine how a culture of trust can be oriented in an institutional framework and share in a dialogue with others interested in the study of trust and its role in leadership development. The conversation will focus on the question: Why are you called to build or promote a culture of trust in your community? Candace Bloomquist, PhD believes in thinking differently, challenging the status quo, and reaching for opportunities. She strives to enhance the growth of individuals and organizations and increase teamwork and personal involvement. As an Assistant Professor in the Interdisciplinary Ed.D. Program in Leadership at Creighton University her research interests include the exploration of trust in institutions, including education/higher education and sport and continuous quality improvement. You have sharpened, cleaned, sorted, and stocked tools for your leadership toolbox well over the years, but what about tools for conflict? Are your leadership tools sufficient? What sharpening or re-stocking might be necessary for leadership in times of disagreement, tension, even polarization? Come to discuss with conflict specialists how we can best prepare our leadership toolbox for times of conflict. Sharon Kniss is a trained conflict practitioner. With over a decade of experience, she has worked with leaders across the US and in the UK as a facilitator, coach, mediator, and trainer as communities, organizations, and individuals navigate conflict and change. A faculty member at Bethel College, Sharon oversees education and training at the Kansas Institute for Peace and Conflict Resolution, including the Conflict Resolution Certificate. 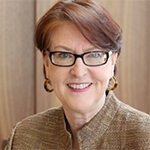 Sharon has served on numerous non-profit boards and is a passionate advocate for healthy and resilient organizations and communities. Sheryl R. Wilson is a mediator, trainer and educator. 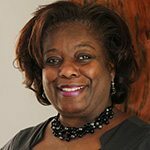 Her dedication to the practice of restorative justice has led her to work with individuals, non-profits, academic institutions, two Fortune 500 companies, and public agencies. In her work, she has facilitated restorative justice dialogues in various venues, has worked as a community mediator and as a researcher. Her experience also includes community outreach, victim offender dialogue, and defense-initiated victim outreach in capital cases. She currently works as the Executive Director of the Kansas Institute for Peace and Conflict Resolution. Kouzes and Posner’s Student Leadership Challenge practices are used as the foundation in the Principles of Leadership class at Emporia State University. While learning about the Challenge the Process practice, students survey five other ESU students using questions developed from adaptive leadership. Dr. Lendi L. Bland has been a member of the Department of Elementary Education / Early Childhood / Special Education faculty since 2000. She received her bachelor’s and master’s degrees from Emporia State, and her Ph.D. in curriculum and instruction at Kansas State University. 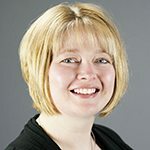 She has taught a variety of courses in the elementary education program and the leadership studies program and currently serves as acting director of leadership studies at Emporia State University. This session will explore one approach to leadership development through a partnership between a non-profit educational institution and a for-profit manufacturing company. Hesston College used the KLC principles and competencies as a foundation to design a holistic leadership training curriculum that specifically addressed the adaptive challenges, needs, and goals of a local business. This approach allowed HC to create a customizable program that incorporates the learning outcomes of the college. We will discuss successes, challenges, and lessons learned, while also seeking to hear from those who have attempted similar programs. Rachel Swarzendruber Miller has been the Vice President of Admissions and Financial Aid at Hesston College since 2011. Prior to this role she served as the director of national convention planning for the Mennonite Church USA denomination. In 2015, she completed her Ph.D. from Andrews University (Michigan) in Leadership Studies. Her dissertation titled, “Crisis communication and university presidential leadership: A rhetorical analysis of three case studies,” displays the importance of Servant Leadership within crisis communication. 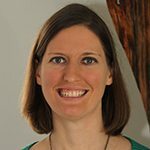 In addition to her Ph.D., Rachel is a graduate of Hesston (Kansas) and Goshen College (Indiana), and has a master’s degree in communication from Wichita State University (Kansas). Brent Yoder has worked at Hesston College since 2011 and he currently serves as Vice President of Academics. He was previously a chemistry professor at both Greenville College and Illinois College and he holds a Ph.D. in Organic Chemistry from Virginia Tech. He has broad interests in science, business, religion, and the performing arts, and he is a passionate defender of the liberal arts and lifelong education. He has enjoyed becoming involved with the Kansas Leadership Center over the past four years, and he recently earned a KLC Level Two Certificate in Teaching Leadership. During this session, we will address some methodological issues to be considered when investigating leadership development. To complement that, we will review a measure currently being used to observe changes and progress in the trajectory of people undergoing leadership training. Elisa Adriasola is an Assistant Professor at the Business School of Universidad Adolfo Ibanez. She completed her PhD in Management from The University of Western Australia Business School as a member of the Management and Organizations group. Also, at UWA Elisa held part-time Research Associate and Lecturer positions both at the Business School as well as School of Psychology. She has taught in the areas of OB, HR, leadership, training and development, and motivation at undergraduate, post-graduate and MBA levels. Elisa was part of the team winning CRC Mining funding and partnering with large mining companies in Australia to research aspects of motivation, goal prioritization and identity; also, is currently part of the Network for leadership studies funded by Army Research Institute USA and is the leading researcher in the project exploring shared leadership as a multilevel phenomenon, funded by Fondecyt, Chile. Elisa’s research interest is in leadership and motivation, more specifically she is concerned with how leader self-construct develops, and how it interacts with other aspects of the self. 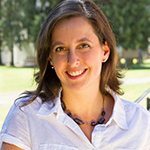 Topics to which she applies her research include leader development, shared leadership, and women in leadership. The nature of her research is mostly applied, multilevel and including time-lagged components. Her work has been published in A-ranked journals such as Journal of Organizational Behavior and Reliability Engineering System Safety and presented in well renowned international conferences such as AOM, SIOP, IPLS. Many pause to ask, “Who am I?” Beyond what we do, what we have been told or what we have experienced, there is an inner longing for deeper self-understanding. Sadly, many people go through life as strangers to themselves. Leadership is an activity which is accomplished through influence relationships. The greater the self-knowledge of a leader, the more effective that leader becomes. You cannot give what you do not have and you cannot lead where you have not gone. The focus of this roundtable discussion will be an introduction to basic temperament truths and personality preferences. Our discussion will include various personality assessments available to leaders. Sue Hellar Dondlinger graduated from Kansas State with a bachelor’s of science and later received her MBA from Wichita State University. She worked for the Michaelis banks for several years before joining the Business faculty at Newman University, where she taught Management and Leadership for fifteen years. Cessna Aircraft then hired Sue to start a leadership certificate program for their first-level managers. During those years, Sue received certification in MBTI, which she administered for thousands of participants. 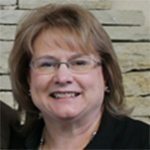 After several years with Cessna, Sue left to work as a consultant/contractor for small businesses, banks and non-profit organizations across Kansas. These years included work for the United Methodist Church,, and Legasus Group- a family business consulting firm. 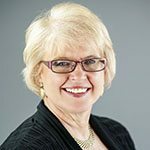 For eight years Sue worked for the Kansas Leadership Center, first as a Project Director and most recently as a contract leadership coach/facilitator. During her tenure at the Kansas Leadership Center Sue received her credentials from the International Coach Federation, of which she is a member. Sue continues to do contract facilitation work for banks and non-profit organizations. She remains involved in the community, volunteering on non-profit boards and in her church. 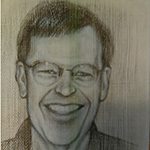 Bodie Weiss is a Certified Birkman Consultant and has been active in individual and corporate consulting for many years. He and his lovely wife Kathy have called Kansas home for almost 3 decades. Bodie holds graduate degrees from Friends University and Fort Hays State University. He is passionate about helping people discover more about themselves in order to assist them in greater self-understanding and to help them strengthen their relationships. The DCCCA Model of Leadership Development – Lori Alvarado, CEO, DCCCA, Inc.; Chrissy Mayer, Director of Prevention and Leadership, DCCCA, Inc.
DCCCA began a journey with the Kansas Leadership Center in 2015. The agency was focused on developing leadership skills at all levels of our non-profit agency. This session will focus on our leadership development journey, the basis for why leadership development was key to culture change within the agency and lessons learned along the way. We will highlight our planning process, logic model development, evaluation efforts and the real impacts that matter to the work of our organization. Lori Alvarado, CEO, has been connected to KLC since its beginning. She has assisted several organizations in exploring adaptive leadership and the key behaviors associated with those concepts. 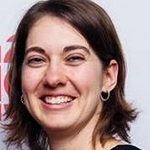 She currently serves as a KLC associate, facilitating web chats as part of the online Your Leadership Edge offering at KLC, as well as participates in DCCCA LEAD and the KLC Collaborate. Chrissy Mayer has been with the agency for 18 years. 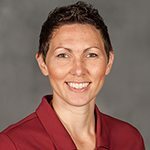 During the past three years, she has facilitated leadership development efforts for the agency including implementation of the Your Leadership Edge program for all staff. She also has completed her Your Leadership Edge leadership certification and co-designed a custom program, DCCCA LEAD, for a cohort of DCCCA staff in collaboration with KLC. This roundtable conversation is for any person who administers, teaches, or has responsibilities to direct adaptive leadership related undergraduate and/or graduate studies at a college/university. The idea is to convene a means for this audience to share information about their work. • How do you inspire a collective purpose? • To what extent do you employ experiential learning? • What learning means and methods do you employ? • How do you grade experiential learning? Ken Embley is an Adjunct Associate Instructor for the Political Science Department at the University of Utah. Specific responsibilities are to facilitate the Executive and the Masters of Public Administration (MPA) Adaptive Leadership special topics classes. Mr. Embley is the author of The Road to Community, a workbook designed to support residents’ efforts to take civic action for positive change in their communities by ensuring that residents have the knowledge, skills and abilities to exercise leadership in community building. In 2017 the Hutchinson Kansas Community Foundation and United Way of Reno County launched an effort that invited twelve nonprofit representatives to spend an entire year experimenting with what more intentional collaborative relationships might look like. Through the help of a leadership coach (Fisher Coaching) the work of navigating the experiment was placed squarely on their shoulders. This roundtable will share discoveries from and invite discussion around that experiment. – What are the ingredients that foster transformational collaborations? – What seem to be the greatest barriers? – What are the characteristics that tend to emerge around healthy collaborative relationships? 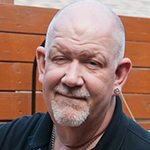 Ron Fisher has thirty years of experience with building teams and helping individuals and organizations make progress. He began in church work where he spent over twenty years as both a staff member and pastor. There he engaged both paid staff and volunteers in the mission driven work of better living and community through the values of faith. Following that, Ron spent over five years as Director of Operations for a rural Kansas nonprofit housing organization. In the last four years Ron has taken his experience and training and created Fisher Coaching – a leadership coaching and consulting firm focused on helping individuals, organizations and communities make progress on their toughest challenges. Multi-cultural theories for higher education leaders in a growing diverse educational society – Rickey Frierson, Research Associate at the University of Houston. American institutions still are troubled with racial incidences, exclusive practices, and lack of diverse representation of leadership. Disproportional representation at the top, lack of retention and promotion of minority faculty, and degree incompletion of underrepresented students still persist. While a few institutions have championed efforts to be proactive in the topic areas of diversity and inclusion, many are still reactive. One reason for this slow adaptation to the growing needs of a diverse campus is the homogeneous representation of leadership at these institutions. American institutions still wait for leadership to accurately reflect that of the student body, but in the meantime our current leadership must become aware of frameworks and theories that are multiculturally based. In order to better understand which theories current leadership should be aware of, this paper seeks to introduce multi-cultural based theories to aid executive leaders in producing better policies and strategies to meet the expected outcomes of all ethnic groups and cease the perpetual deficits that currently exist among some underrepresented groups. Rickey Frierson has spent the last twelve years as an inspirational speaker toward high school and college students, and community organizations. Rickey is a Research Associate at the University of Houston, where he is pursing his PhD in Educational Leadership and Policy Study. Rickey takes pride in assisting education leaders and institutions in examining proactive strategies to create efficient and fruitful educational experiences for their diverse students, staff, and faculty. Rickey has a Masters in Organization Development, BS in Business Management and a Minor in Leadership Studies and Programs. He also holds a Civic Leadership Development and Diversity Certification from the Kansas Leadership Center.